BlueHost Implements Auto-Updating of WordPress. WTF? This is crazy. I’m not talking about managed sites here. 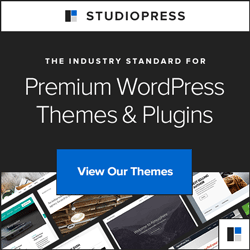 BlueHost decided on their own to implement auto-updating of WordPress for all their shared hosting accounts using WordPress. And not just minor/security releases. I just discovered four sites I manage were updated to WordPress 4.3 without my knowledge or approval. I had good reasons for not doing the update yet. And then the BlueHost tech support rep confirmed my suspicion. If you agree that BlueHost should stay out of the business of updating Web-site software, please retweet my tweet. Huge #FAIL, @bluehost, to unilaterally implement auto-updating of #WordPress! WHAT WERE YOU THINKING? TURN IT OFF NOW, pls! Child Themes – WordCamp ATL 2012 Presentation Downscaling Images On Upload in WordPress Unfollow-A-Huckster Wednesday How to embed a YouTube Video in WordPress About.me: WTF?